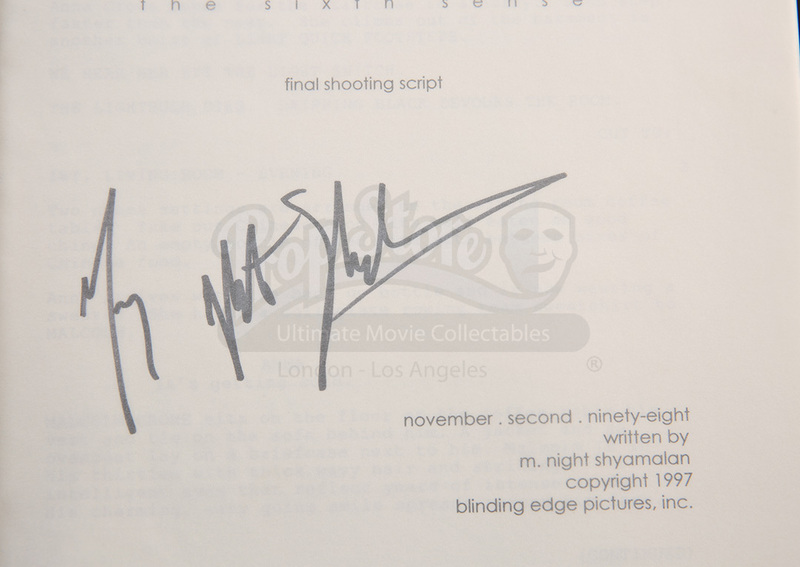 An Autographed Final Shooting Script from M. Night Shyamalan’s 1999 thrilling drama, The Sixth Sense. This movie tells the story of a boy (Haley Joel Osment) who communicates with spirits that don’t know they’re dead who seeks the help of a disheartened child psychologist (Bruce Willis). 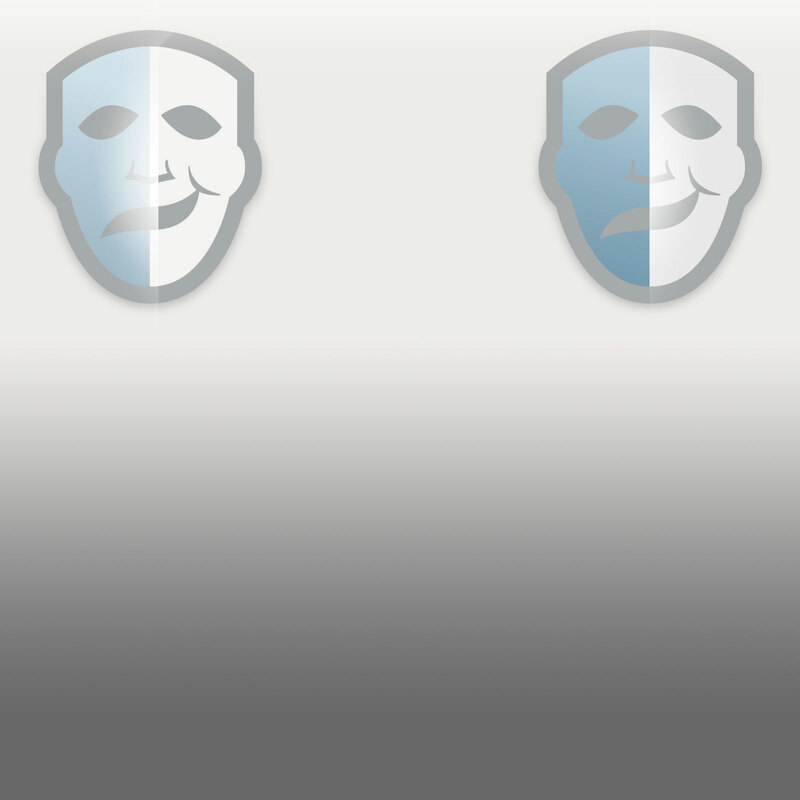 This script is the final version used for shooting. This 97 page script is autographed by M. Night Shyamalan in black felt pen on the title page. It is dated from November second, 1998. 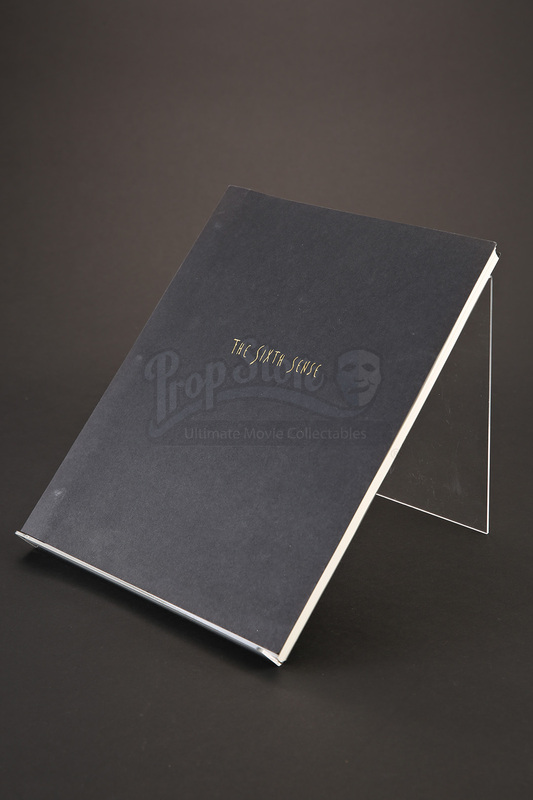 The script is bound in a black cover with three brass brads affixed to the left side of the document. 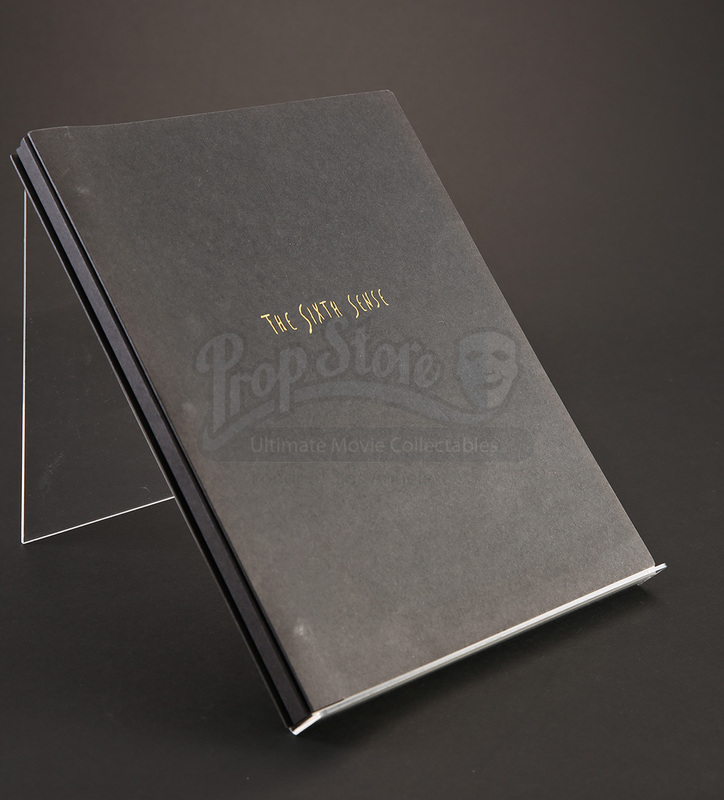 This script features a velum cover and back page as well. The front of the cover has the film’s title embossed in gold ink. This item features little signs of wear from production use and age, including minor scratches on the cover, but remains in overall excellent condition.